In every account (Mark 9:2-10; Matthew 17:1-13; Luke 9:28-36, 44-45), Jesus’ transfiguration immediately follows Peter’s confession and the disciples’ first lesson about Jesus’ course of shame, suffering and final vindication. In Christ’s way, belief lays the foundation for sight. The transfiguration could no more have preceded the confession of faith than could Jesus’ resurrection have preceded his crucifixion. Three of the disciples see the truth about Jesus (Revelation 1:12-16). His outer appearance is transformed so that the glory of his inner divine life can be revealed. The sudden appearance of two other witnesses also testifies to the magnificence of the occasion. Moses represents the written law of God, which sustained the covenant, Elijah, the greatest of the prophets of Israel’s history, represents the spoken word of God, which sustained the promises of a new relationship with God. All that the law desired to accomplish, but could not, and all that the prophets longed to see come to pass, but did not, this Jesus brought to fulfillment. Peter wants to freeze the moment and build a shrine, but he babbles out of wonder and fear. His proposal puts Jesus on par with the two greatest figures in Jewish history, but God exalts Jesus only and redirects the disciples’ attention, devotion and fullest obedience to this One who fully bears the love of the Father. Jesus alone accompanies his friends down the mountain and into the valley. Again, the disciples cannot understand where suffering fits into the mission of the Son of God. Seeing Elijah triggers their messianic expectations, which included the powerful ministry of Elijah who would “restore all things.” Jesus says that, in John the Baptist, Elijah has already come; and if he suffered so, how much more will the Anointed One undergo? Kathryn Spink, in A Universal Heart (San Francisco, Harper & Row, 1988) writes: We of the Taizé community look upon the transfiguration above all as the celebration of that presence of Christ which takes charge of everything in us and transfigures even that which disturbs us about ourselves. God penetrates those hardened, incredulous, even disquieting regions within us, about which we really do not know what to do. God penetrates them with the life of the Spirit and acts upon those regions and gives them God’s own face. The Sundays after the Epiphany are framed by both the Feast of the Epiphany, with its start in the heavens, and Jesus’ face sining the sun at the Transfiguration. The light of God’s revelation in Jesus becomes clearer in the ensuing weeks as disciples are called and the word is proclaimed. And thus we conclude this Season of Epiphany. The coming week brings us to Ash Wednesday, beginning the holy season of Lent when we journey with Jesus to what awaits him in Jerusalem. In what ways is Jesus the fulfillment of the law and the prophets? 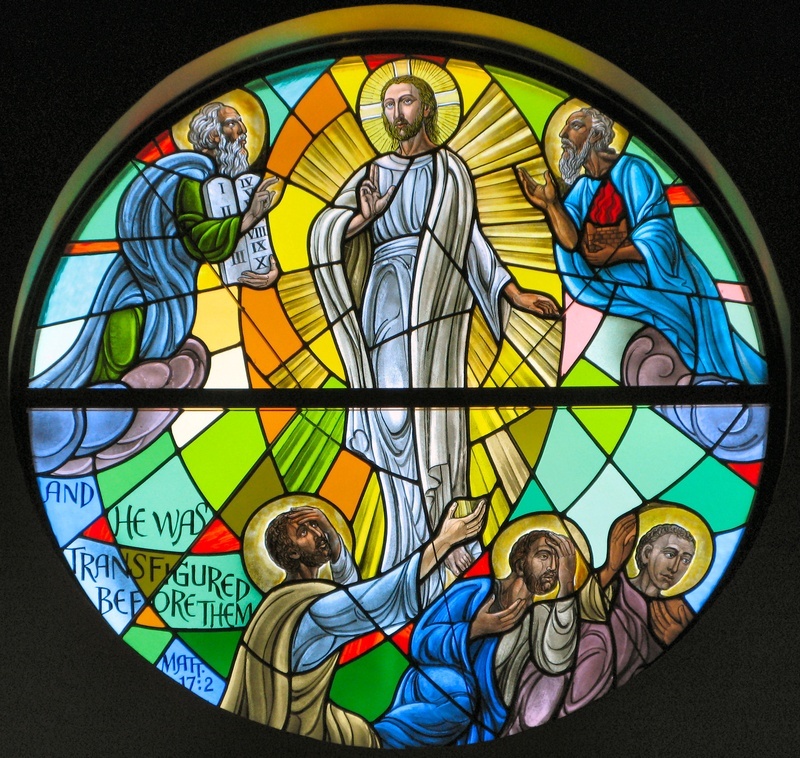 What did Jesus’ transfiguration reveal about him? What does it communicate to twenty-first century Christians? What new truth does it reveal to you about Jesus? Compare 9:7 with 1:11. What significance do you see in this double affirmation of Jesus’ relationship with God? In what sense did John the Baptist “restore all things”? Who comes now in a ministry of restoration and preparation for Jesus’ second coming? This entry was posted in Epiphany and tagged Discipleship, Elijah, Epiphany, Jesus, Lent, Moses, Prophets, Taize Community, Transfiguration of Jesus. Bookmark the permalink.